Holy Hamburger, Batman! It’s time for everyone’s favourite comic book caped crusader to save the day and win you some serious amounts of cash while he’s at it. The DC Batman £250K Cash Giveaway at Gala Casino will be spread out across three prize draws and dishing out shares of a jaw-dropping £250,000 to several lucky players. So, if you’re feeling like a superhero, all that’s left to do is hop into the Batmobile and start earning those prize draw entries. A whole host of Batman-themed slots have been added to Gala’s extensive library. Playing these comical slots will earn you entry points to the grand prize draw and leave you with a shot of winning a share of £250K. Throughout the promotional period, there will be a total of 5,000 winners- could you be one of them? Click to Play Now at Gala Casino Get 100% bonus up to £400 + 200 Points! 18+. New customers only. T&Cs apply. Every £10 you wager on Gala’s selected comic slots at Gala Casino will earn you one entry into the big prize draw. Remember that there is no upper limit to the amount of times each player can enter into the prize draw. That means you can keep playing these exciting slots as much as you like for higher chances to win. Batman & the Joker Jewels is a five reel slot with three rows and 25 pay lines to play with. Fans of classic comic books will love the retro theme and reel symbols which depict screenshots from the original 1960s TV show. 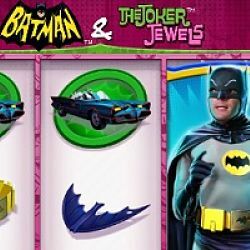 In addition to high cash prizes waiting to be won, Batman & the Joker Jewels also offers plenty of bonus features such as free spins, random wilds and scatters. Catwoman Cash is yet another camp and colourful slot filled with images of of the original Catwoman character and her iconic gadgets. With five reels and 25 pay lines, this Playtech slot can be spun for as little as 25p per spin. It also features two brilliant bonus rounds. 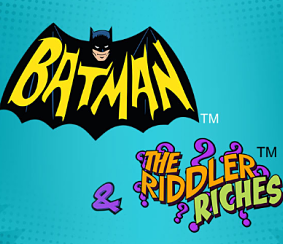 The Riddler Riches is a Playtech-powered slot with five reels and a fixed amount of 243 ways to win. One of the things that makes this slot stand out is the Collapsing Reels feature which allows players to win many different times from just one spin. Playtech has sent the amount of wins sky-high yet again with Batman and Mr Freeze Fortune. Here there are 1,024 ways to win across five reels. These reels can be spun for as little as £1 and as much as £5000 per spin. 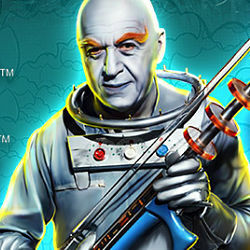 The main character in this slot is, of course, the infamous supervillain, Mr Freeze. He features heavily in the imagery of the reels alongside his heroic nemesis, Batman. Batgirl Bonanza has five reels and 60 pay lines. Playable from 30p to £30 per spin, this Playtech game is full to the brim with extra features. The star attraction of the slot is the bonus round which give out 25 free spins. Playtech’s Penguin Prize slot has an astonishing 4,096 ways and a 2x2 Super Symbol extra feature. Even the biggest Batman superfans will love the theme of this slot, which stars one of Batman’s greatest ever enemies, The Penguin and plenty of other recognisable features from the DC franchise. Finally, Green Lantern is a five reel slot with 243 ways to win. Based on the 2011 Ryan Reynolds movie, this progressive jackpot slot gives players the chance to win incredibly high amounts of cash. With spins ranging from 40p to £2,500, this slot appeals to every type of player from low-staking newbies to seasoned high-rollers. This prize draw offer is open to all Gala Casino customers, new and existing alike. It’s important to note that the promotional period runs from December 12th 2016 until January 1st 2017. Any money you stake on the qualifying slots outside of this period will not count towards the promotion. All cash prizes will be funded to winners’ accounts within 72 hours of the weekly prize draw being held. Battle It Out In The Reel Races At Casumo To Win Up To £5K!